Polar King International, Inc. manufactures outdoor walk-in coolers and outdoor walk-in freezers that feature a seamless fiberglass construction. What makes the seamless exterior so beneficial? It is 100% weatherproof. There is absolutely no way moisture can penetrate the skin of the unit and cause damage to the integrity of the insulation. Polar King’s 100% seamless fiberglass design provides a continuous surface which keeps the insulated structure completely intact; free of moisture damage and bacteria formation. Other manufacturers require rain caps, membranes, caulking, and even structural enclosures to protect their units from outdoor elements. 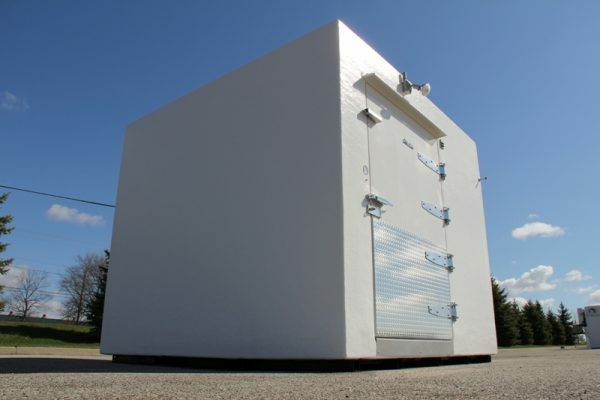 Polar King seamless fiberglass outdoor walk-in coolers and freezers incorporate foam insulation completely encased in fiberglass, both inside and out. This method provides superior structural strength since it forms a one-piece unit. How confident in our products are we? We provide a 25-year insulation warranty on every unit we produce. All Polar King units are designed and engineered specifically for outdoor use. Every unit is built to withstand the elements and to maintain its efficiency as outdoor conditions change. For added peace of mind, Polar King offers one of the most extensive and comprehensive warranties in the walk-in industry. Our limited warranty covers nearly all aspects of the unit. On top of our 25-year coverage on the internal foam insulation, we offer an unprecedented 12 years on the structure, 1 year on the refrigeration system, 1 year on miscellaneous parts and accessories, and a total of 5 years on the compressor. As the industry’s #1 manufacturer of fiberglass outdoor walk-in coolers and walk-in freezers, Polar King units are designed to endure even the most rugged conditions and climates. 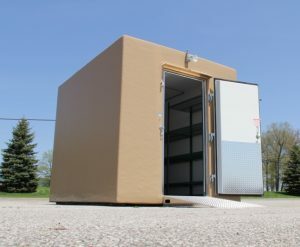 All of our walk-in units and refrigerated trailers are delivered fully assembled and require only a simple electrical connection to put them into operation. With a 100% seamless fiberglass design, Polar King offers the industry’s only one-piece, outdoor units.